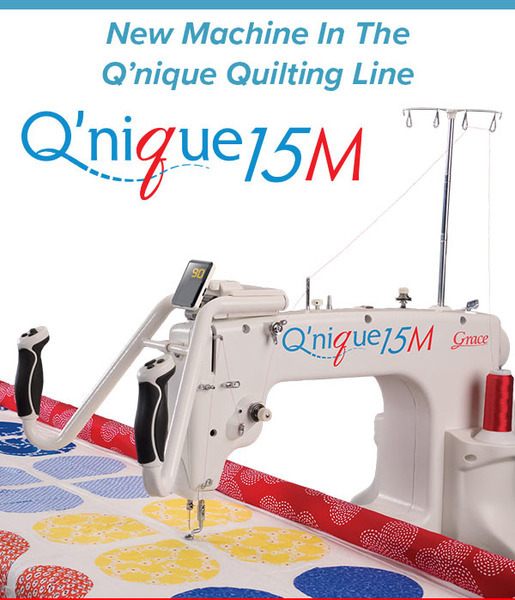 The Q’nique 15M is a manual quilting machine designed for those who like to have manual control over their stitching, at a low introductory price point. Built with the same specifications as the original Q'nique 14+, the Q'nique 15M forgoes stitch regulation to focus on the simple manual stitch mode, which many quilters prefer. 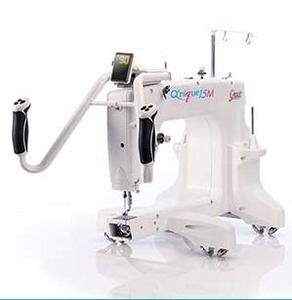 The low price of the Q’nique 15M will bring the possibility of owning a professional quilting machine to a whole new market and a new generation of quilters. You now have more control of your work space with six buttons on the handle to work with, to make things faster and easier. This machine also and has a hand dual thread tensioner to help when quilting. It has 6 LED lights that light up your needle area for easy visualization of your work space and the stitching that you are doing. It has two thread holders with the fastest sewing speed possible of 1800 stitches per minute. 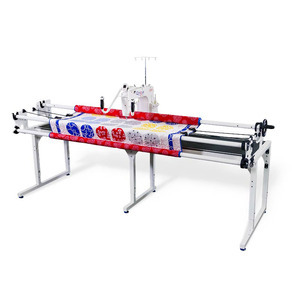 This machine is made to make the biggest and thickest of quilts and makes sewing faster than any other machine. You also have a manual speed control to be able to control the speed of the stitching yourself. This quilting machine comes with large throat space that has the most room for the largest and highest quilting material for stitching on the market today. This makes quilting so much fun to do at home and it couldn't be easier. The Grace Q'nique 14+ Long Arm Quilting Machine will take your quilting to a whole new level. With a 15 inch throat space theGrace Q'nique 14+ Long Arm Quilting Machine gives you the freedom to quilt larger patterns or quilt blocks. TheGrace Q'nique 14+ Long Arm Quilting Machine includes extended throat space, easy grip handles, and increased stitch speed. The Grace Q'nique 14+ Long Arm Quilting Machine is brought to your by the Grace Company, which had been manufacturing and distributing quilting frames and accessories for over 25 years. Specify which Grace Frame you are going to use the 15M upgraded to 15R on.